eleena jamil architect (EJA) was formed in 2005 by eleena jamil and is based in kuala lumpur, malaysia. 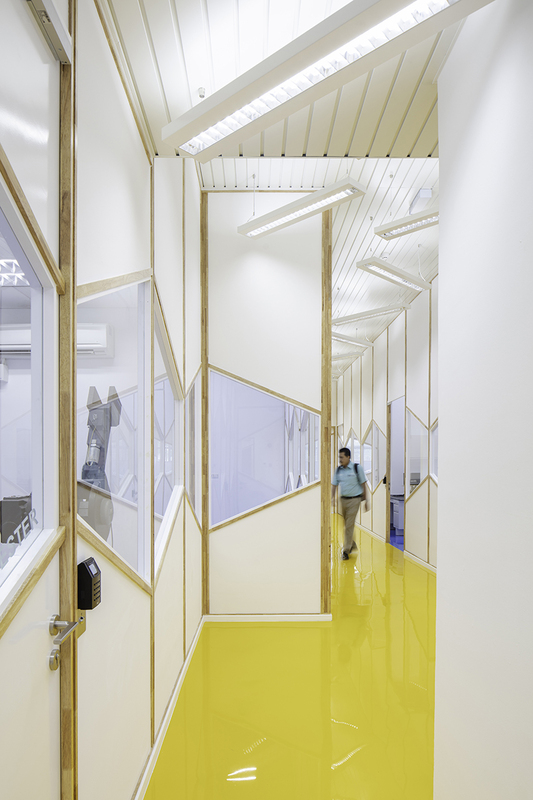 it has a breadth of experience in delivering successful and imaginative projects. with a dynamic and committed team of architects and assistants, it focuses on creating enduring architecture by seeking tactile spatial solutions with strong references to context and culture. 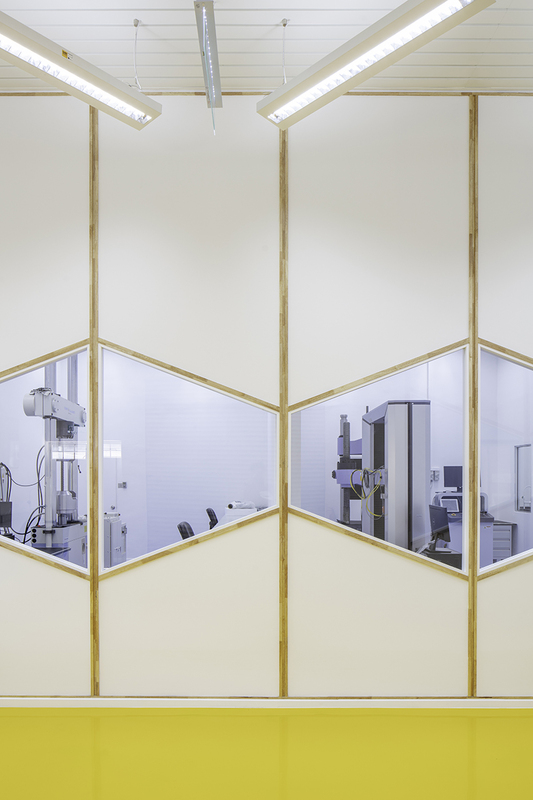 the new project developed by eleena jamil architect involves expanding an existing full-scale construction and structural engineering laboratory to include a new range of state-of-the-art testing for building materials and structural components. 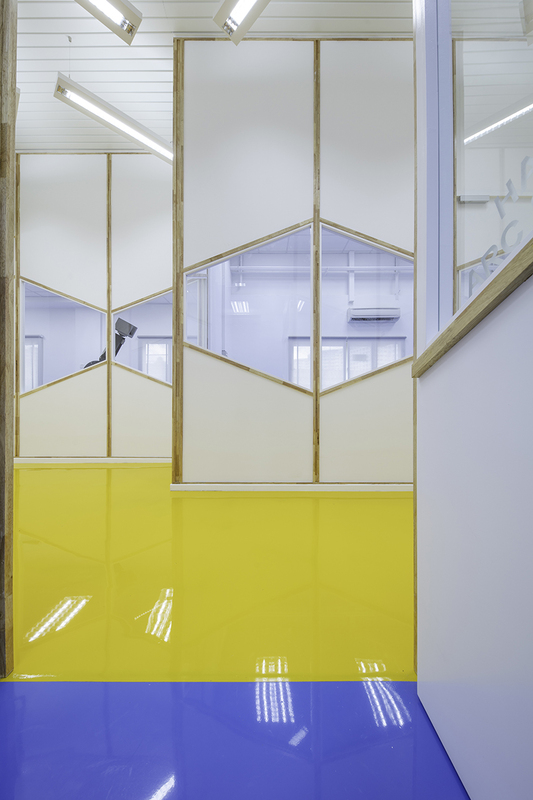 the facility is managed by a local construction research institute and is located within an existing warehouse-like structure in the heart of kuala lumpur. 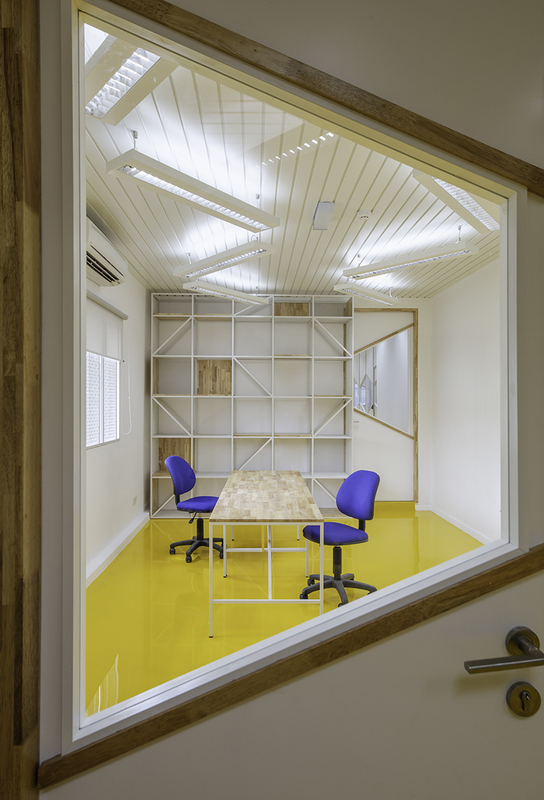 the renovation spans across an area of 340 square meters where parts of the existing interior had to be stripped bare and replaced with new flooring, partitions, ceilings and services. 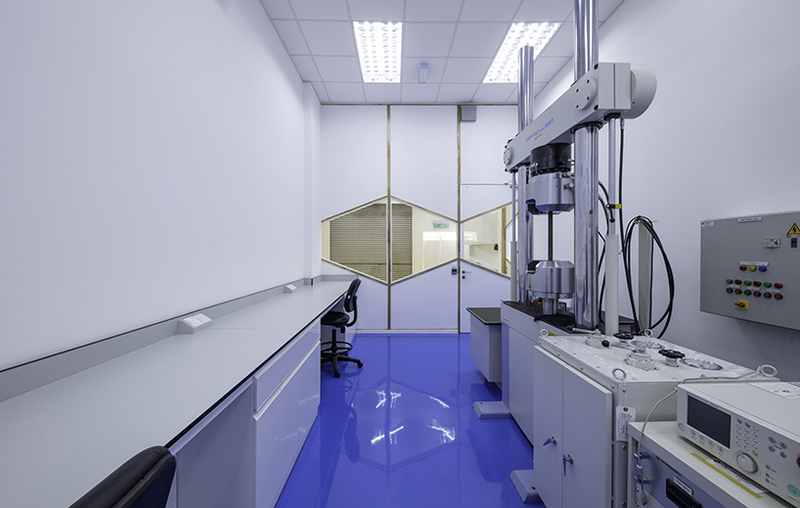 laboratories tend to be sterile environments with bland boxes and maze-like interiors. 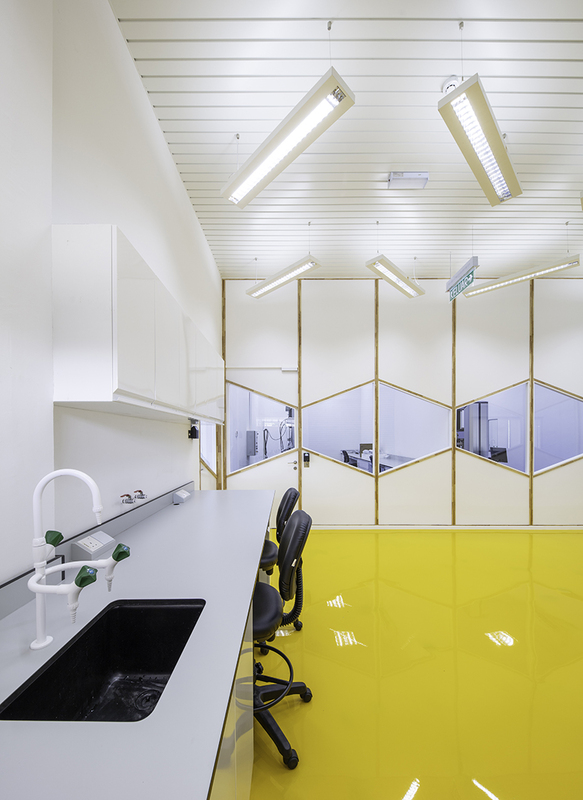 here, the idea was to create vibrant and creative spaces that are conducive not only for research and testing but also for demonstration and training. 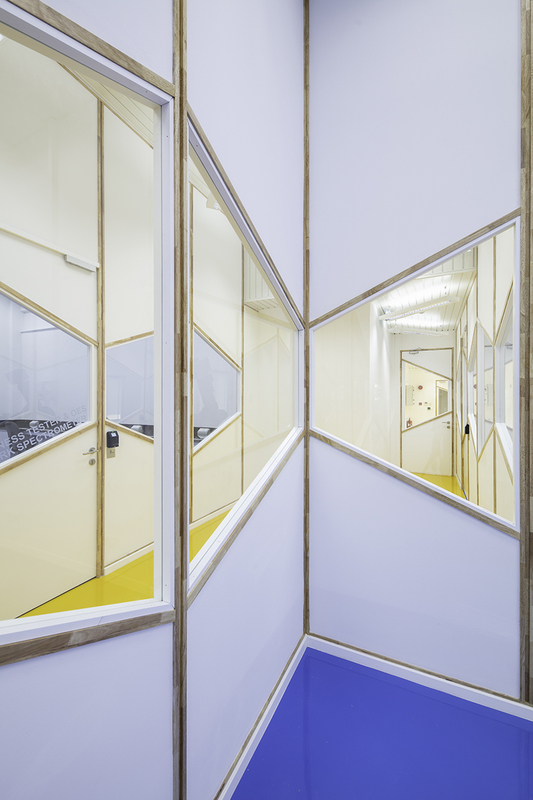 it was to be an informal but energized atmosphere, where bright colors and geometric patterns are used to break the monotony of simple lab spaces stringed along corridors. 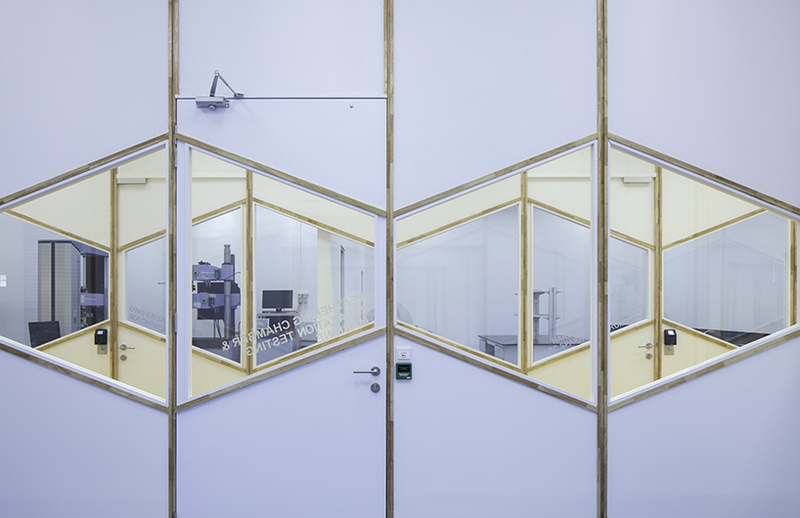 the rooms of the laboratory were designed in a way to allow the observation of equipment and testing as they are being used. 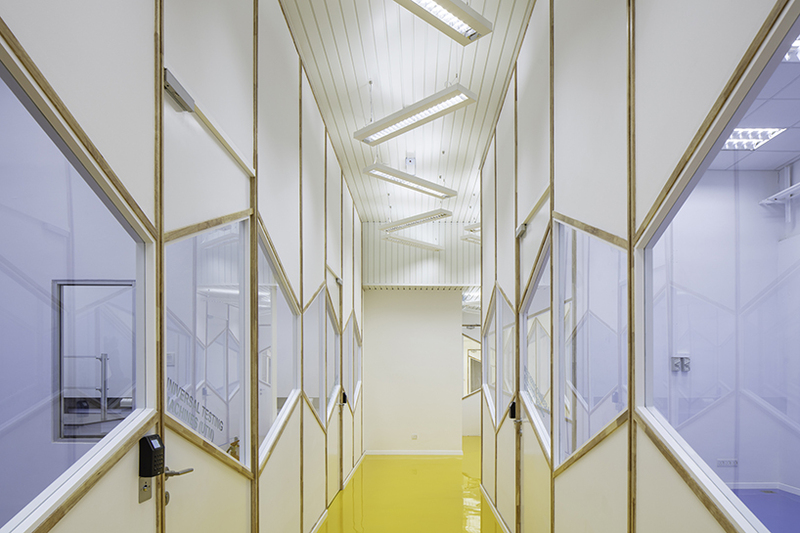 viewing glazed panels run in continuous strips along the length of the corridor — they are skewed to break the monotony of the spaces. they offer views of tests being conducted without being too obtrusive to researchers. 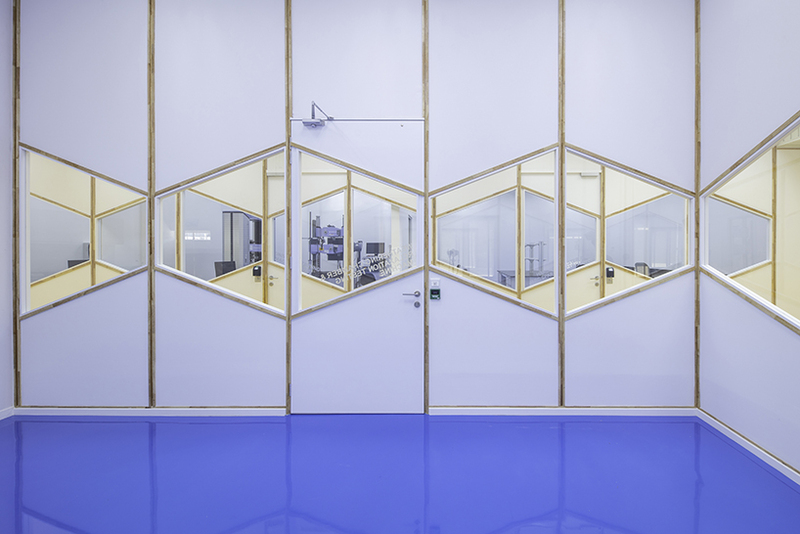 the strip windows also help bring in natural light throughout the interior spaces. 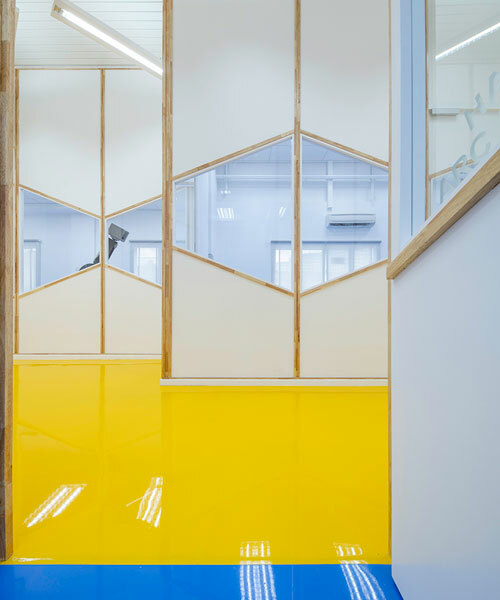 bright-colored epoxy resin floors are used to differentiate distinct zones: yellow is used for the guest lobby and corridors whereas blue is used for laboratories. 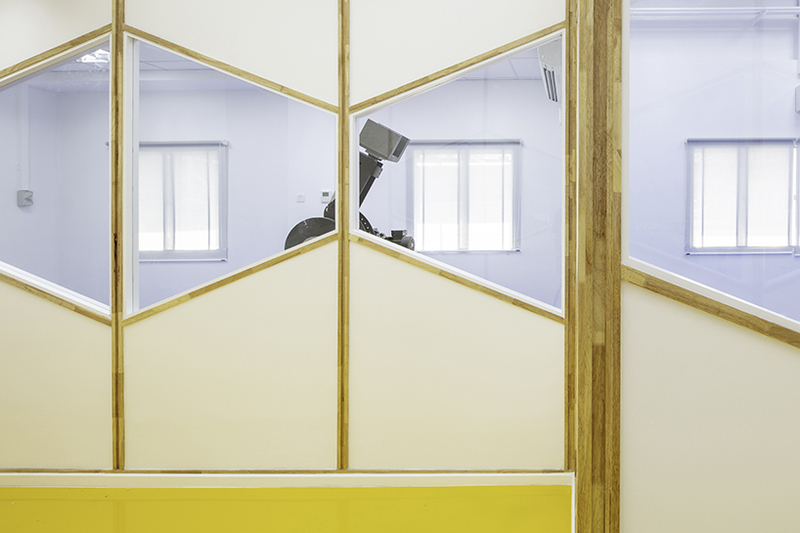 the partitions are built up from local rubberwood framing and infilled with cement boards. 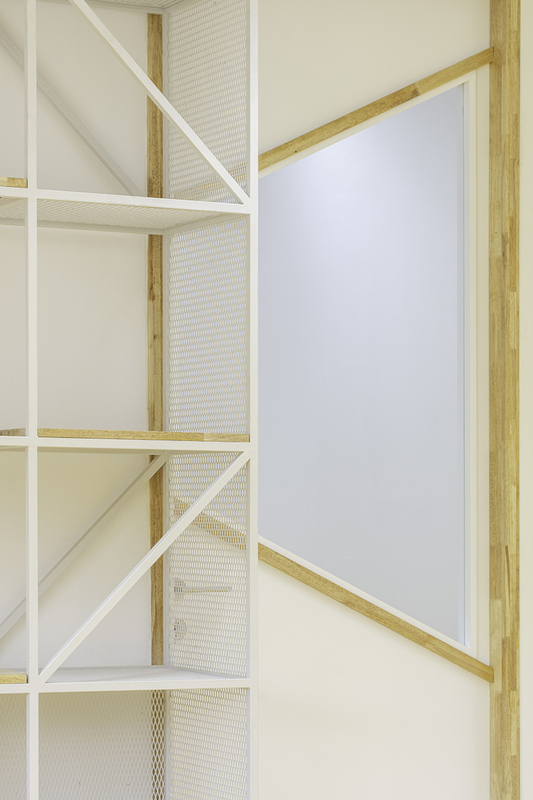 the natural wood frames accentuate the pattern of the strip windows and verticality of the partition system. it draws the eye towards the angled led light fittings at the ceiling level. these lights bathe the spaces with bright white light, making them seem larger than they really are.